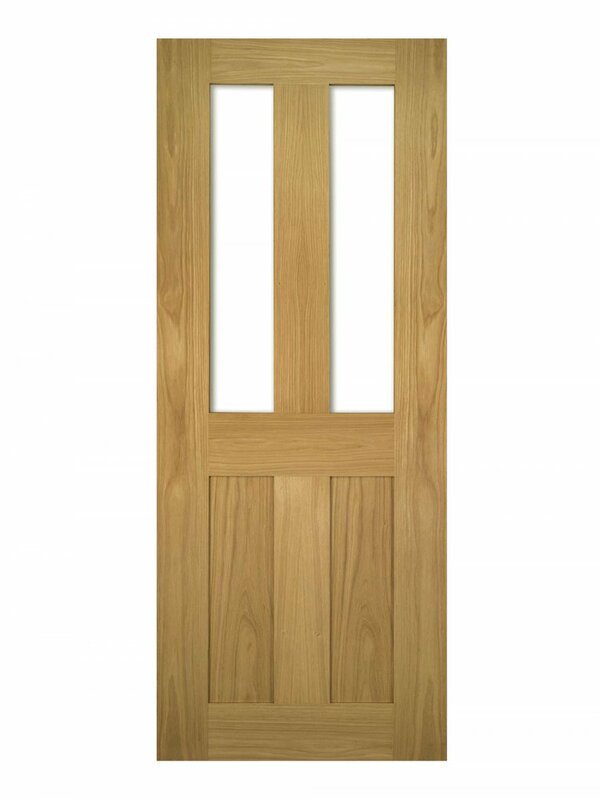 Deanta Eton Unfinished Oak Glazed. A Victorian style door with two clear glazed lights above two flat panels. 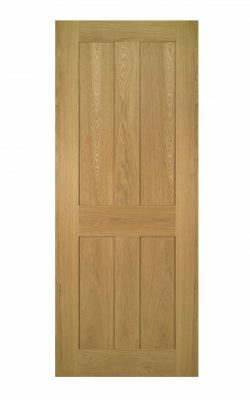 This is a shaker style door without any beading or mouldings. 6 sizes to choose from. 32 mm trimming allowance enables a perfect fit for virtually any doorway.